South Africa has one of the richest and most romantic diamond heritages in the world. For many visitors to the country, acquiring a rare, beautiful piece of Africa in the form of authentic South African diamonds adds an unforgettable sparkle to their trip. From first-time to seasoned diamond buyers, tourists frequently ask: Where do I find real diamonds? When it comes to diamond-buying, as a tour operator or tour guide your recommendations are crucial. Some of your clients may be considering purchasing their very first piece of diamond jewellery while others may well be experienced collectors on the look-out for Earth’s rarest treasures. How do you direct this diverse range of clients to authentic diamond sources that will delight them? The journey of every Shimansky diamond, which are all conflict-free and of South African origin, is literally one that is traced from mine to finger. Authenticity is assured as every stone, hand-selected from the mines by Founder and CEO, Yair Shimansky himself, is analysed and graded according to the highest standards of the Gemological Institute of America (GIA-graded). As a specialist in diamond and tanzanite jewellery, Shimansky is a leading South African jewellery brand worn by celebrities such as Charlize Theron and Christina Aguilera, and political icons such as Nelson Mandela and Bill Clinton. 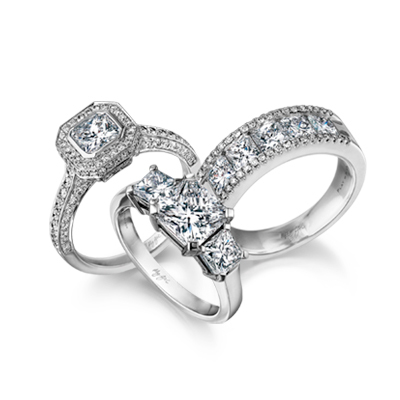 Founder and CEO, Yair Shimansky is world-renowned for the brand’s pioneering diamond cuts and jewellery designs. Whether it is a diamond ring or pendant, glittering earrings or a diamond-studded bracelet, visitors are spoilt for choice in the exclusive Shimansky showrooms at the Clock Tower, V&A Waterfront and The Rockwell in Cape Town. Uniquely, Shimansky also offers guests an incredible opportunity to co-create their own masterpiece. They can choose from a wide selection of GIA-graded loose diamonds, as well as tanzanite; take a seat in the design studio and consult with Shimansky’s jewellery designers to bring their own vision into sparkling reality. Designs co-created with guests on a Shimansky diamond tour are delivered within 48 hours, and visitors can take their leave of Cape Town with their own beautiful, and highly valuable memento of Africa. You can help your clients save money by advising them that international visitors to South Africa can benefit by claiming back up to 15% of the standard VAT. When purchasing goods they will declare on departure at the airport, they should inform the shop assistant that they are a foreign national and request a Tax Invoice. If the purchase exceeds R5000, their name and permanent address must be reflected on the Tax Invoice. If the purchase exceeds R10 000 they require the same details on the Tax Invoice plus their proof of purchase, such as the credit card receipt. At their point of departure, they should present their goods for inspection by Customs Officials and get their Tax Invoice stamped. They then proceed to the VAT Refund Office to present their passport, boarding pass and Customs approved Tax Invoice. Read more here. To ensure your clients enjoy an outstanding Diamond Experience in Cape Town, click here to book a Shimansky Diamond Tour.